The BMW i8 a very unique and outrageously designed sports car which has a realistic and even to some degree reasonable price. And one can buy it right now today from a BMW dealer. Unlike some of the other cars in this list the i8 is capable of day to day driving with an impressive 65mpg range. But that doesn't mean it's not powerful. 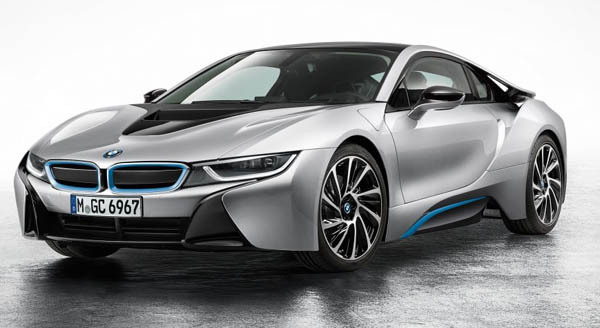 The i8 uses a 1.5-litre engine plus 129bhp electric motor for a total of 357bhp and 420lb-ft torque. That means it'll for 0-62mph in an impressive 4.4 seconds.